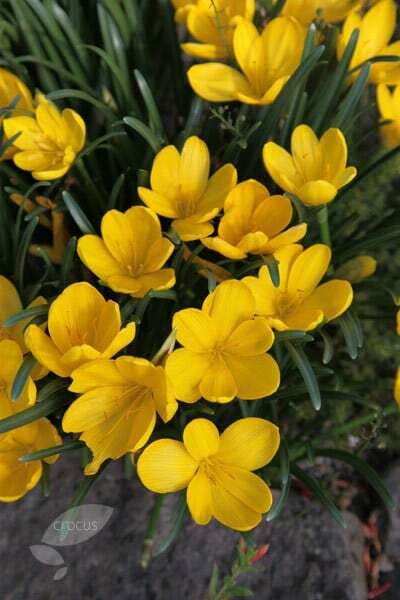 An autumn carpet of goblet-shaped, luminous yellow flowers can be achieved over time with these delightful bulbs. They are incredubly floriferous in the right setting and will brighten up the drabbest autumn day. Plant them where they get loads of sun and wont get too wet in winter and they will multipy over the years to form generous drifts. Garden care: Plant bulbs in naturalistic drifts 15cm (4in) deep in August to September in gritty, well-drained soil that has had some muck dug in. Once planted, leave undisturbed and allow them to form large clumps and only dig up and divide if flowering is impaired. Making new garden from a disaster area! a bright splash of colour to welcome visitors.